Brick Town Talk: Inspiration of the Day - 7/20/11 - LEGO Town, Architecture, Building Tips, Inspiration Ideas, and more! 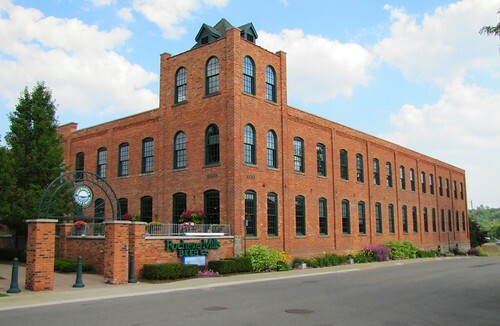 Rochester, Michigan, United States - (BTT) Well, it's not exactly Willy Wonka's Chocolate Factory, but the building is eye catching enough. If someone really wants to do our building justice in Lego, we can provide more pics from all sides. Yeah! That would be great. You can email them to me (bricktowntalk@gmail.com) if you'd like.